Hearts Therapeutic Equestrian Center is recognized by the Professional Association of Therapeutic Horsemanship International (PATH) as a “premier center” — the highest possible level of accreditation, demonstrating a superior level of adherence to national industry standards. 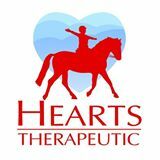 ​Located overlooking the Pacific in Santa Barbara, Hearts Therapeutic offers life-changing experiences to people of all ages with a wide range of disabilities. Since opening in 1985, approximately 60,000 lesson hours to over 2,000 members of our community have benefited from therapeutic riding. Today we have 10 horses and serve 80 riders per week. Our mission is to employ the power of the horse to enhance the capabilities of children and adults with special needs in Santa Barbara County. 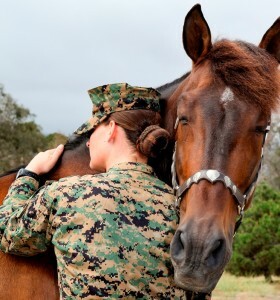 ​Mission: Hearts Therapeutic Equestrian Center honors US Veterans by offering the Operation Unbridled Freedom Program, designed for veterans by veterans. OUF offers an opportunity to build camaraderie; be of service to fellow veterans and the community; and experience a challenging physical activity. Concept: Operation Unbridled Freedom (OUF) provides US Veterans with an opportunity to ride and interact with horses and fellow veterans. OUF Veterans work with specially trained volunteers and Certified Instructors, some of whom have also given their service to our Country. This mutual understanding of military values and war experiences Veterans have faced creates an environment of trust and camaraderie. In addition, all staff and volunteers are hand selected and must complete online training to become culturally equipped to serve our Veterans. Cost: The true cost of this program is underwritten, allowing veterans to participate at no cost to them. Leadership: OUF is led by Marine Corps Veteran Devon Sachey. 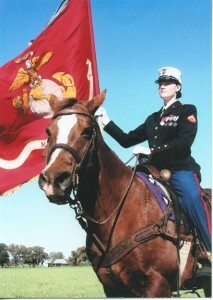 Sachey grew up training and competing horses before joining the United States Marine Corps in 2003. 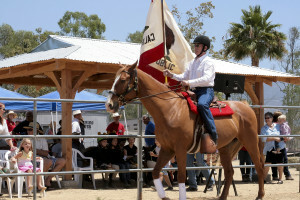 Devon is now the Program Director of Hearts Therapeutic Equestrian Center and is honored to provide a program that continues to offer Veteran Support to the local Santa Barbara community. “This Program was built by Veterans, for Veterans to provide an opportunity to be part of a cohesive unit again; where we can be of service once more and de-compress from the stress of daily life. It’s an honor to have served after you, along side you, and to have been amongst those leading the way for many to come. When I joined the Marine Corps at 17 I found myself part of a unit whose members came from all walks of life. We trained hard, played hard, and fought hard –together as a unit. The collective bond we shared was unlike anything in the civilian sector. It was our sense of service to each other and something greater than us that was a driving force for our camaraderie. Transitioning from that brotherhood to civilian life presented challenges I was not prepared to deal with. Among these challenges was the disappointment that uncommon valor was no longer a common virtue. Life after the service meant I was no longer a service member yet no longer a civilian. This in-between world of being a Veteran was frightening. I thought the military defined who I was- without it, where did I belong? I spent 5 years in this in-between state looking for my life’s purpose again. Oddly enough, I found the answer where I least expected it; with my brothers in arms and horses. Three years ago I began volunteering with Equine Therapy to serve fellow Veterans struggling with their war experiences and various challenges. 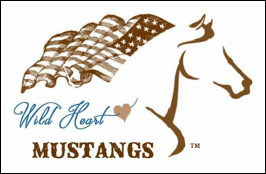 Along the way, I rediscovered the unbridled freedom of horses and the camaraderie amongst veterans. Through this experience, I quickly learned how effective Equine Therapy was. I began to see how these non-judgmental animals could neutralize the affects of Veteran’s PTSD, anxiety, depression and physical challenges. These horses were effective barometers to help Vets with self awareness and they had the ability to make you feel understood and respected. Ultimately, helping fellow Veterans with these animals helped me to find my way back to that brotherhood and sense of service. This experience changed my life. Since then, I have had the honor of designing a program that exemplifies the Esprit De Corps Veterans like I had been missing. Operation Unbridled Freedom is a program where Veterans can be part of a cohesive unit; where we can de-compress from the stress of our daily lives, and where we can be of service to fellow veterans and the community once again. With this open letter, I invite my fellow U.S. Veterans to join this elite team. Whenever you are ready, we are here to serve along side you, once again. Hearts Therapeutic Equestrian Center - Santa Barbara, CA Operation Unbridled Freedom provides US Veterans with an opportunity to ride and interact with horses and fellow veterans. OUF Veterans work with specially trained volunteers and Certified Instructors, some of whom have also given their service to our Country. This mutual understanding of military values and war experiences Veterans have faced creates an environment of trust and camaraderie.